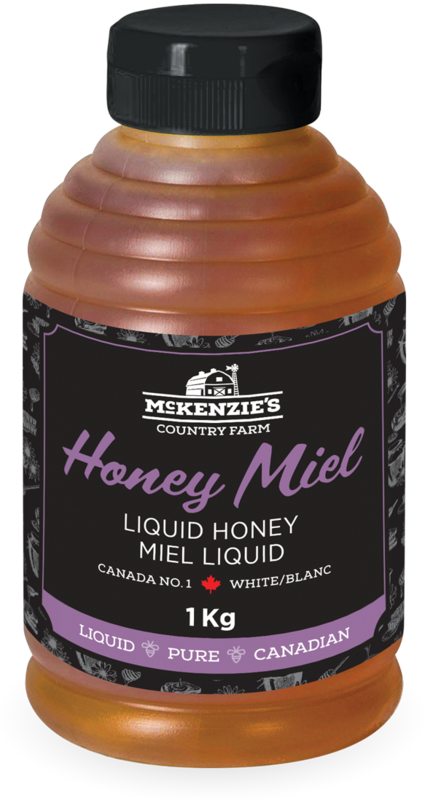 McKenzie's Country Farm Honey has been on store shelves for over 30 years, and in that time, we have gained a reputation as producers of some of Canada's finest honey. Our natural and healthy products combined with personal, friendly service and integrity, ensure customer satisfaction, which is the key to our continued success. 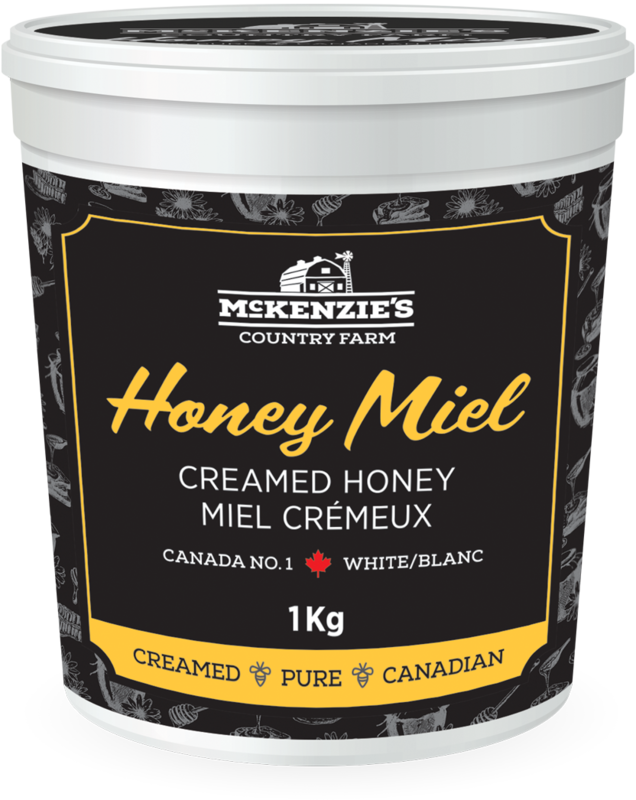 McKenzie's Country Farm Honey is produced in the town of Three Hills, Alberta, located an hour northeast of Calgary. 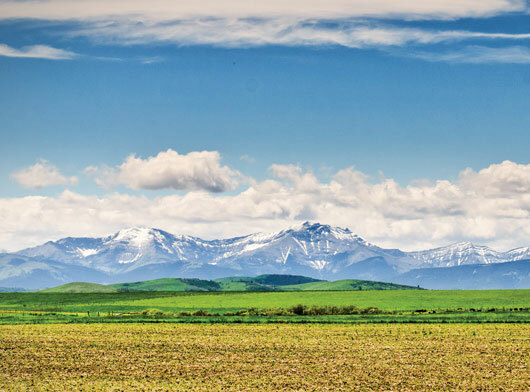 Named for the three rolling foothills to the town's north, Three Hills sits between the majestic Rocky Mountains and the Canadian Prairies. Our honey is a product of both the beautiful and natural environment where it's cultivated, and the caring and conscientious Three Hills workers. However, at the foundation of our quality honey are the bees who roam the Albertan wildflowers to produce it. part of our commitment to integrity. We all love sweetness, and our pure Canadian liquid honey is a traditional and versatile source. Adding this natural product to anything from baked goods to marinades will accentuate the flavours and provide great consistency; our liquid honey can comfortably act as the headliner or the unsung hero. You can rest assured that our pure, organic Canadian honey contains only what nature intended it to. Be grateful for those hardworking bees, because they're the ones responsible for this organic sweetness. Perfect for the health conscious consumer, try our organic honey with anything you eat that needs a burst of sweetness, guilt-free. Our pure, raw Canadian honey retains all of its natural elements, and its delicate taste. It is taken directly from the hive, with no heating or filtering, so it is as natural as honey comes. Whether you're using it on your toast or to sweeten a smoothie, our raw honey provides the most natural honey flavour you will find. Our pure Canadian creamed honey is perfect for spreading, with its rich and smooth texture. Thanks to this texture and its sweet taste, our creamed honey is a staple for any kitchen, and it is a tasty and healthy way to start, or end, your day. This raw honey has been transformed by extreme Canadian cold. 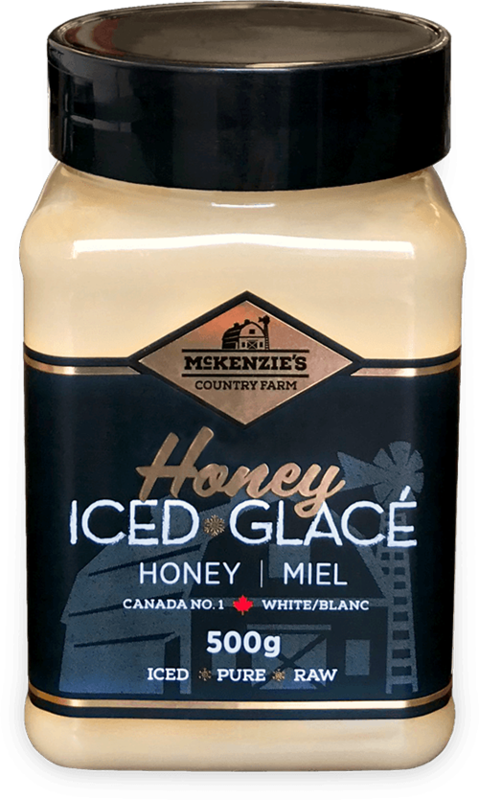 Our iced honey is distinguished by its lush texture and natural colour, which develop during our specialized process. 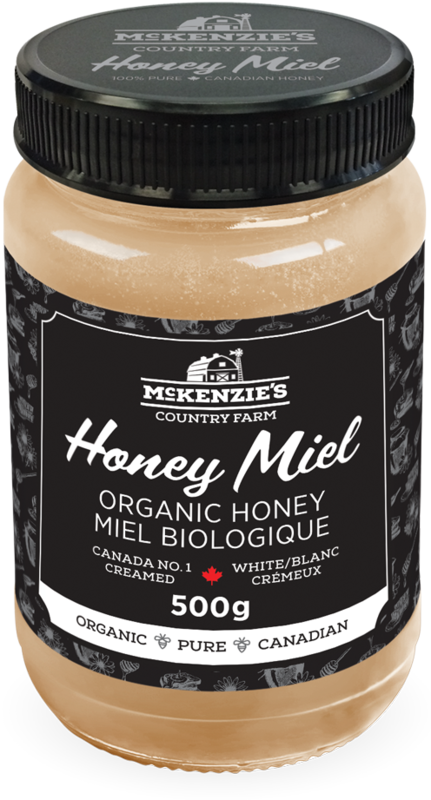 1101 – 6th Ave. N.
McKenzie’s Honey comes from 100% Canadian beehives. Thanks to our close supplier relationships, we are actually able to tell you exactly where your honey comes from. This is part of our commitment to a high quality product, and top notch consumer safety.